Stephen Rakes arrives at the courthouse for the trial of James "Whitey" Bulger on June 17. As James "Whitey" Bulger's closest confederate testified in a downtown Boston courtroom Friday about the gangsters' alleged crimes, police continued to scour a leafy suburb for clues in the suspicious death of a would-be witness. Stephen “Stippo” Rakes, 59, had said that Bulger had forced him to sell his liquor store at a cut-rate price in 1984. Bulger’s Winter Hill Gang wanted to use the liquor store as a front for its criminal activities, and Rakes had been set to testify before he was cut from the prosecution’s list of witnesses. His body was found on the side of the road in the suburb of Lincoln, Mass., at about 1:30 p.m. Wednesday, according to the Middlesex County District Attorney’s Office. Officials said an autopsy had revealed no signs of trauma. Investigators are awaiting a toxicology report to determine the cause of Rakes’ death, and police sources told New England Cable News that they are treating it as suspicious. Rakes did not have a wallet or identification with him when he was found, NBC News affiliate WHDH reported, and investigators are looking into how he got to the roadside where he was found by a jogger. One of many potential witnesses who said they had been wronged by Bulger, Rakes said in June that he was looking forward to facing down the gray and defanged 83-year-old man from the witness stand, according to the Boston Herald. “The day I see him in a box, not breathing, will be better,” Rakes said in April, according to the Associated Press. The former liquor store owner gave his story of how Bulger ripped him off at gunpoint in a 2001 interview with the Boston Globe, when Bulger was still a fugitive. According to the account, Rakes and his two daughters were at home in 1984 when Bulger and a pair of his associates, Stephen “The Rifleman” Flemmi and Kevin Weeks, knocked at the front door. With Rakes’ 1-year-old daughter on Flemmi’s lap and a switchblade in Bulger’s hand, the gangsters tossed Rakes $67,000 dollars and told him they were taking over his store, according to the man’s account. In the years afterward, Rakes said he never knew when he might see Bulger’s face again. Weeks gave a slightly different version of the shakedown story when he testified in Bulger’s trial, saying that it was Rakes who was trying to pull a fast one on them when the gangsters showed up at his house armed with guns. “We didn’t go to him to buy the store. He came to us. It wasn’t your regular extortion,” Weeks testified. Rakes had backed out of a deal to sell the liquor store for $100,000, Weeks added. That’s a load of nonsense, Rakes told the Associated Press after Weeks’ testimony. Rakes was convicted in 1998 of lying to a grand jury about the extortion, saying he was afraid to tell the truth. He ultimately cooperated with law enforcement and avoided going to prison. 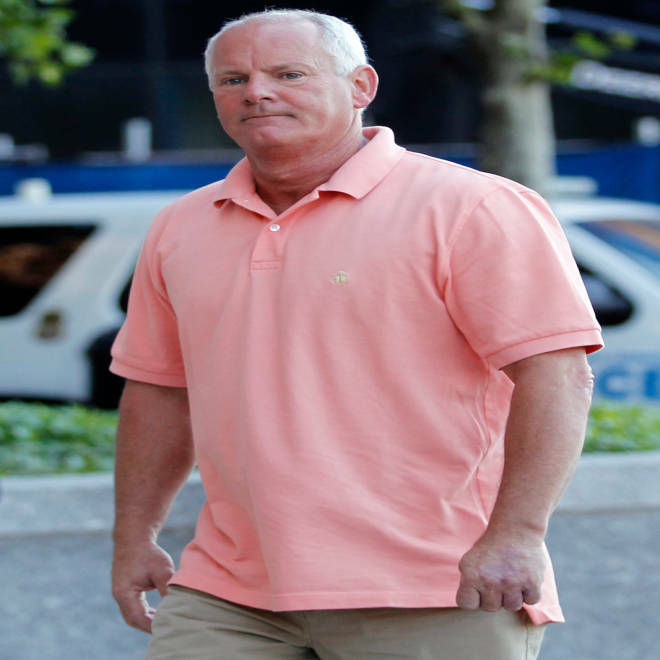 He won a $28 million judgment against Bulger with his ex-wife. The news of Rakes’ sudden demise had the Moakley Federal Courthouse on the waterfront in South Boston chattering on Thursday as Flemmi made his first appearance. He is back on the stand Friday. “I was going by his house – I gotta know why he hasn’t come to court, why he hasn’t talked to me. I got a gut feeling, really sick feeling about it,” Stephen Davis, whose sister Debra Davis was allegedly killed by Bulger, told WHDH on Thursday. But the man who says he’s all too familiar with Bulger’s methods says Rakes' sudden death bears echoes of the bad old days. “I figure it’s murder,” Davis said.